Lerner’s FEC Problem – It’s appearing that “5th Amendment” Lois has much more in common with organized crime bosses than just refusing to tell the truth. 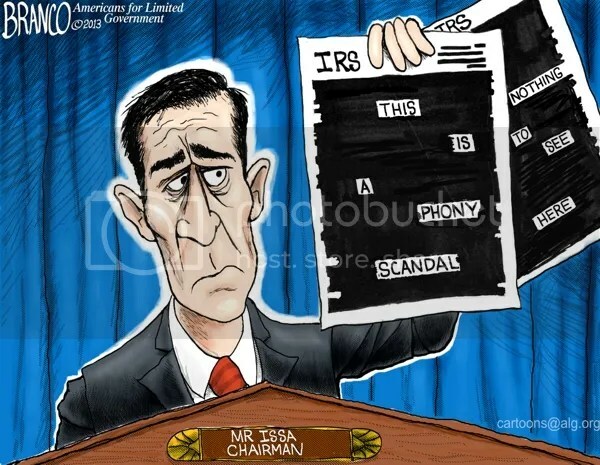 IRS drumbeat continues with Congress on break – More on Lois Lerner’s crimes. The Mother of All Scandals – Victor Davis Hanson recaps the IRS and several other ongoing scandals by the BHO Regime. Congressman charges treasury secretary with stonewalling him on IRS questions – Try this tactic with the IRS when they are questioning something on your tax return, and see what happens to you.